Australians living with dementia suffering the "deepest and darkest" depression have been forced to wait for people to die so they can access adequate care. The royal commission into aged care heard evidence from carers in Adelaide on Monday as the second hearings got under way. Rock musician Veda Meneghetti is cared for by her friend Lynda Henderson, with the pair living together in regional NSW. 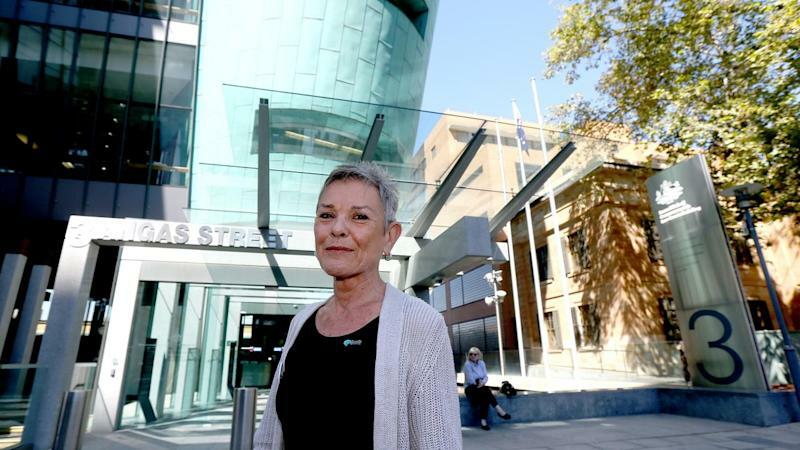 Ms Henderson said there was a common experience among the many depressed friends they had made since Ms Meneghetti was diagnosed in September 2012 at the age of 61. "Every person we have met has gone through the deepest and darkest depression at some stage," Ms Henderson told the hearing. Ms Meneghetti has a rare form of dementia which affects her speech, reading and comprehension. Her first provider, HammondCare, took 34 per cent of the home care package in management fees - vastly above the 14 per cent which is now being taken. Ms Henderson said they were sent staff with no senior first aid training, inadequate knowledge of manual handling and other occupational health and safety practices. HammondCare also didn't provide advice on case management, she said, forcing Ms Henderson to do it herself with the help of a GP, two neurologists and a retired registered nurse. "That made me extremely angry," she said. Ms Henderson said Australia badly needed a review of national qualifications and career path ways for people working with dementia. Ms Meneghetti spent six months waiting for an upgrade to the highest level of care, a level-four package, with Ms Henderson the only person supporting her for 20 hours a day. She said she believed she was still recovering from post-traumatic stress from that period caring for her friend. "Every morning she had two-hour long panic attacks which were terrifying. Those panic attacks were unbelievable," Ms Henderson said. Raelene Ellis, who cared for her mother for more than two years after her dementia diagnosis, said she was told someone would have to die before a higher level of care could be accessed. "Someone shouldn't have to be told 'when the next person dies you can get help, but until then tough bickies you can't'," she told the hearing. When she was finally given a level four package, it only amounted to nine hours of care a week after the provider charged 38 per cent in administrative fees. Ms Ellis emotionally recounted how difficult it was to realise her mother would have to go into residential care. Presbyterian Aged Care NSW and ACT boss Paul Sadler said government letters informing people they've been approved to receive a home care package, and have been put on a waiting list, often leave people confused. "People don't understand that difference," he said. Mr Sadler said the system should be more transparent, including making it clearer how the government decides who receives home care packages first. "As a community, we should have an expectation that we understand how the system operates."